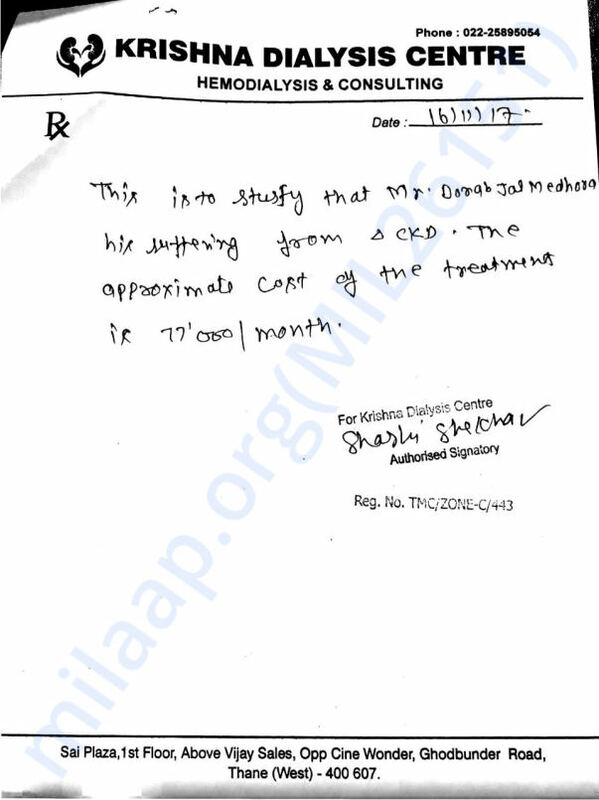 Patient is suffering from chronic kidney disease. It's a major disease. He belong to very poor family. 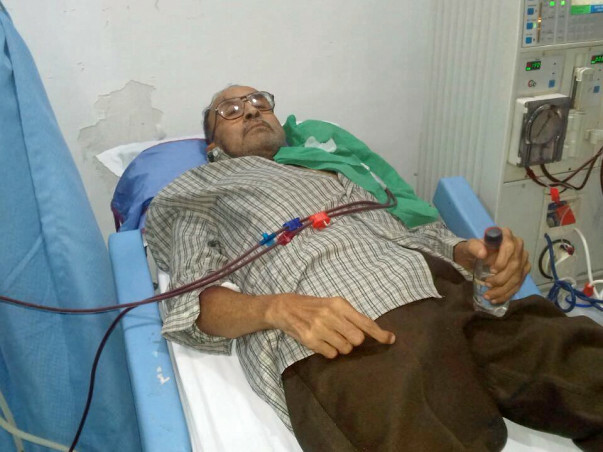 Doctors recommend 2 dialysis in a weak due to his kidney failure. Due to kidney failure he is facing many problems like lack of iron and lack of haemoglobin. His is taking medicine since 15teen years because he have arthritis problem also. But patient is live now only on dialysis. Due to financial problem he is not able to take proper treatment.There are 4 members in their family . Patient his wife and 2 daughters. Only one earning member in the family. His younger daughter she work in a call centre because his elder daughter is also facing learning disability disease. And his wife is house wife because she cares her husband and daughter. So please raise your hand to save someone's life. Get well soon. Also try parsi general hospital. They help poor and needy parsis with free treatment.